Ares Vista Free has a unique connection scheme that connects instantly while older versions of Ares often fail. Ares Vista Free has a unique connection scheme that connects instantly while older versions of Ares often fail. Ares Vista also has improved encoding/decoding of file formats and faster downloads of music files. All versions of Ares Vista are designed to work with the increased security features of Windows Vista operation system. 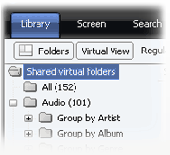 Ares Vista is the latest version of the popular peer to peer file sharing program. Ares Vista is the latest version of the popular peer to peer file sharing program. Ares Vista uses the decentralized Ares Vista network with a Bittorrent plugin, for distributing files. Users of the Ares Vista software can download any type of file. Ares Gold is a free file sharing program that builds on the latest P2P technology to offer a unique and exciting user experience. Ares Gold completely eliminates the performance problems that have plagued other P2P networks. Free Registry Cleaner for Vista is a free, Windows Vista compatible utility that scan and clean up registry problems from your computer. Ares Galaxy Turbo Booster(AGTB) is a powerful acceleration plugin for Ares file sharing program. State of the art software technology used by AGTB generates dramatically decreases of downloading time. The addon consumes very low resources from your computer and the nice and easy interface offers a great experience. AGTB is an essential accessory for any Ares user and is FREE. NO Ads, NO Adware, NO Spyware, NO Trojans bundled. Ares Galaxy Turbo Accelerator (AGTA) is a powerful acceleration plug-in for Ares file sharing program. State-of-the-art software technology used by AGTA generates dramatically decreases of downloading time. The add-on consumes very low resources from your computer and the nice and easy interface offers a great experience. AGTA is an essential accessory for any Ares user and is FREE. NO Ads bundled. ThinVNC is a pure-web Remote Desktop solution. The remote computer can be accessed from any OS platform through any HTML5 compliant browser (Firefox, Google Chrome, Safari, etc.). Free for noncommencial use. Vista Firewall Control Plus will protect your applications from undesirable network incoming and outgoing activity and controls applications' internet access. My Free Antivirus is a unique algorithm of scanning, high speed of detection, daily antivirus base updates, protection from cyber viruses, trojans, worms. HTTP Spy .NET is a small application used to trace http request to a web site. HTTP Spy .NET will help you find any bottleneck and it will help you in analyzing your bandwidth usage. Plan and report your time in the Outlook Calendar. No extra app need. Complete time reporting for workgroups. Offline or Online. Report to MS Access or SQL database or via ASP. PDA integration. Powerful statistics tool. Also single user version. Plan and report your time in the Outlook Calendar. No extra app need. Complete Outlook-based time reporting where reports are sent to local MS Access database, created by the application. PDA integration. Powerful statistics tool. Organize your home projects and daily tasks. Keep a complete list of tasks to be done. Assign tasks to workers or family members. Add unlimited details about your home: pictures, floor plans, paint colors, inventory, dimensions, important contacts. 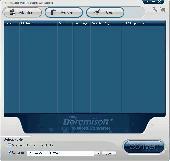 4Leaf iPod Video Converter is the best video converter around the world, which plays a nice job in iPod video (MP4,H. 4Leaf MPEG Video Converter gives you the abilities to finish MPG,MPEG-1,MPEG-2,MPEG-4 converting conveniently. ActSoft Video Converter ActiveX allows you to easily convert video files between AVI, MPEG1, MPEG2, VCD, SVCD, VOB, WMV, and ASF formats. Undelete FAT file recovery solution recover data from different file systems including FAT12 FAT16 FAT32 VFAT. Admirable SQL File Repair software ensures flawless SQL file recovery even if MDF file is not opening and showing error messages. SQL File reader software reads corrupt MDF file sector by sector and extract data from SQL Server 2008,2005 & 2000.